Whiten bathtub grout. First dry the tub thoroughly, and then spray it liberally with hydrogen peroxide. Let it sit — it may bubble slightly — for a little while, then come back and scrub the grout with an old toothbrush. You may have to repeat the process a few times. Brighten dingy floors. Combine half a cup of hydrogen peroxide with one gallon of hot water, and then go to town on your flooring. Because it’s so mild, it’s safe for any floor type, and there’s no need to rinse. We do however recommend test it in an inconspicious place on your hardwoods before trying everywhere. 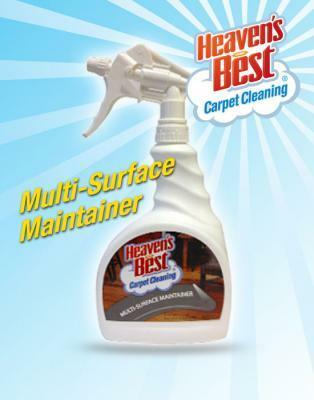 If you still aren’t getting the results you desire with these Cleaner Carpet Tips for Birmingham, AL, then give Heaven’s Best Carpet Cleaning a call at 205-618-9150 and we’ll be happy to take care of any of your carpet, tile, grout, hardwood and upholstery needs! Also, don’t forget to ask about our multi-surface cleaners and how great they work!